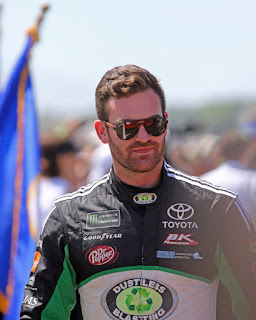 The Racing Times (AROUND THE TRACK): COREY LAJOIE "UPS AND DOWNS OF RACING"
COREY LAJOIE "UPS AND DOWNS OF RACING"
With the start of the Pennsylvania 400 set for 3:00pm I had a chance to talk with third-generation driver Corey LaJoie. Scanning the 25- year- old resume I found it to be quite impressive. 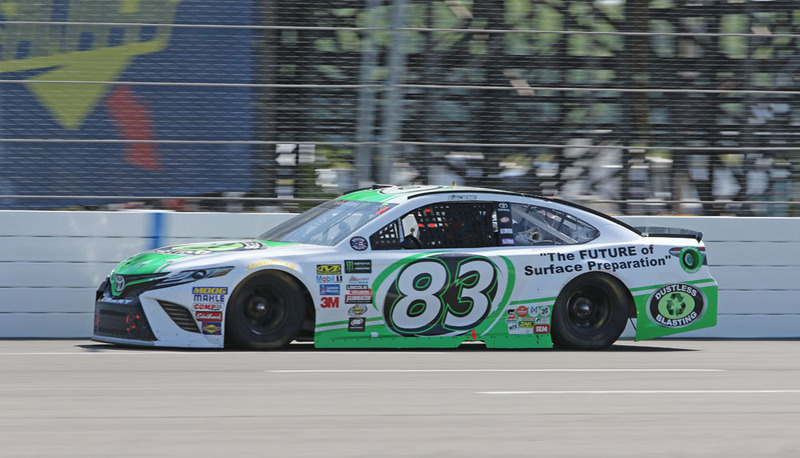 First was tabbed as a Developmental Driver with Richard Petty Motorsports, ran the Xfinity Series with JGL Racing and is running the Monster Energy NASCAR Cup Series presently for BK Racing. Having a two time Xfinity Series Champion as his dad (Randy LaJoie) you think he would be guiding his career. “He helps a little but he tries to let me figure it out on my own. Taking all the ups and downs as a driver. Plus, if you look at how different the cars are since he raced he really can’t say much and the tracks are either repaved or reconfigured. But when he does tell me something I make sure to put a mental note of what he said,” LaJoie said about his dad. It all began for LaJoie in 1996 as he took down 19 wins in Go-Karts. What was impressive about that he was running on both asphalt and on the dirt. Winning just continued for LaJoie as in 2003 he moved up to the Inex Bandoleros. He saw the checkered flag 12-times and capped off the Summer by winning the Summer Shoot Out Championship. The 2005 season LaJoie moved into a Legend Car and then quickly moved into the Aaron’s Pro Challenge Series as he won 10 out of the first 12 races in 2006. After his accomplishment in 2006 it was time to move to the URAR-Stars Late Model Series. LaJoie took down only one win in the Series but mustard 10 top 10 finishes in just 17 starts in the series. Cory wasted no time moving up as made his Camping World Truck Series debut as his very first K&N Pro Series east start at Thompson Speedway (Connecticut). LaJoie remained running both Series throughout the 2012 season scoring his first win at the famous Bowman Gray Stadium and added four more wins to cap off a runner up spot in the final points battle. The end of the season Cory was named to the 2012 NASCAR Next Class. For the 2013 season LaJoie found himself behind the wheel of Tommy Baldwin's Xfinity Series Chevrolet on a limited schedule and then joined Richard Petty Motorsports as a Development Driver. 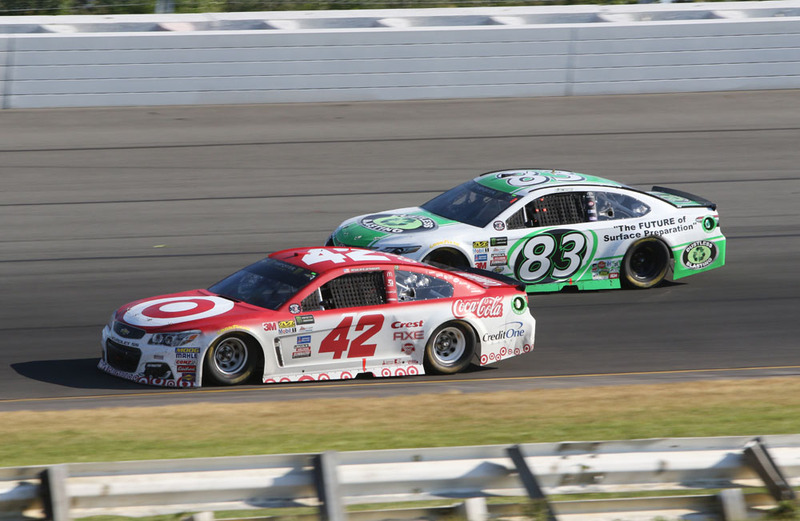 Towards the middle of the season Cory found himself in the ARCA Series and he won on his second start at the Chicagoland Speedway and took the checkered one race later at the “Tricky Triangle” of the Pocono Raceway. 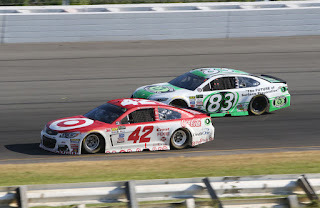 The 2014 season found Lajoie running the Xfinity Series for Diagi-DenBeste Racing for five races and to cap off the 2014 season LaJoie made his Monster Energy NASCAR Cup Series start at the N.H.M.S. in Randy Humphrey Racing. After a mishap on LaJoie part that we won’t get into, Cory returned to the Xfinity Series in the JGL Racing Team for the 2016 season. So, you can see LaJoie’s resume can stack up with the best of them. I had a few questions for Corey on his maiden season. LaJoie wanted to explain his first season in the Monster Energy NASCAR Cup Series. “It’s been pretty rough and it sure had its ups and downs. Lately I’ve been trying to figure out how to get the car setup for the race, we need to work on the long run speed. We got to take it one week at a time and just go from there,” comment Lajoie. With a lot of new tracks for LaJoie to face in 2017 I wanted to know what his “WOW” track was. I was expecting Daytona or Talladega would be his first choice as I was thrown back on his comment. 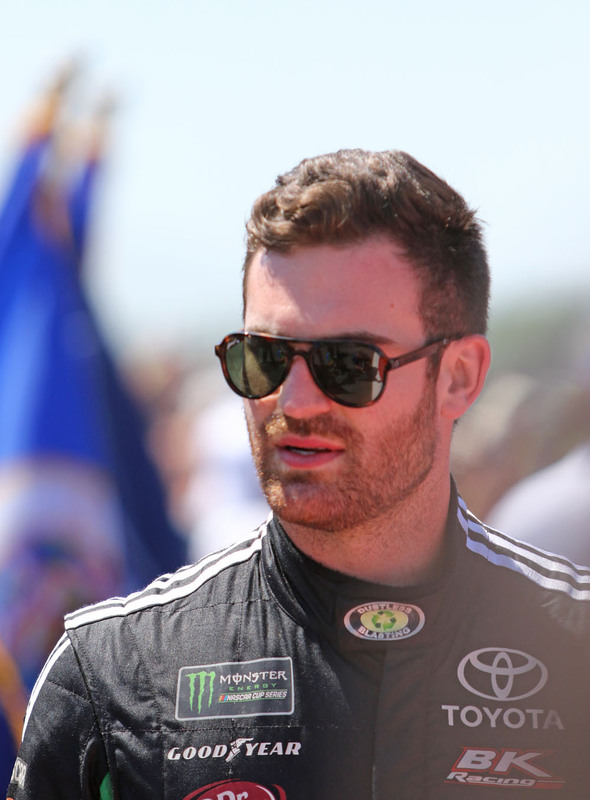 “The best I was ready for a race and had a good car for was at Kansas. I had to say it was a pleasant surprise till we blew a tire, everywhere else we are pretty good but Kansas was a very comfortable race for me,” Lajoie mentioned. With basically all the tracks but a handful being new for LaJoie, what can you do as a young driver as he hits these tracks? “I watch a bunch of tapes, I’ll use the Toyota simulator. When you’re at the track you really don’t get a lot of time on the track. You run some laps in qualifying trim and a few in race trim. It’s very challenging as a young driver,” finished up LaJoie. 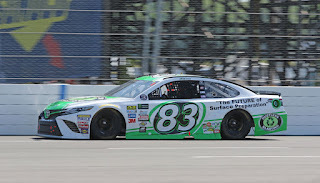 BK Racing usually gives out one or two-year contracts for their drivers but talking with team owner Ron Divine, who is very high on LaJoie and is expecting a long relationship with Corey as his driver in the #83 Toyota entry. “I want to run as many races with them (BK Racing) as I can. Ron has given me at great opportunity here and hopefully we can both go in the same direction and start to get top finishes," stated LaJoie on racing for BK Racing. “He gives me a car to drive and he has confidence in me. We are all in this together and we are all in this together. We are trying to build something together. As a team, we had a lot of good runs but unfortunately don’t have the finishes to show for it. We just have to take it one race at a time,” Lajoie said about team owner Ron Divine. With the midpoint of the season coming close and with that its round two of the tracks he already ran at and with that said, LaJoie jumped right in “I’m excited about seeing Kansa and Texas again. Places like that is where we ran good at. We had good setups for those tracks and I’m getting more knowledge and knowing alit bit more on the way the track changes,” LaJoie commented. So overall all I wanted Corey to tell me his 2017 highlight of the season to date. “It’s just being where I am right now, racing with the likes of (Jimmy) Johnson and (Dale) Earnhardt Jr. It’s pretty dam cool running with those guys. Hopefully one day I can be up with those guys battling for the win,” explained LaJoie. It was a nice time chatting with one of the up and coming drivers and listen to the stories from a 25-year-old battling the super stars of the sport. Thanks to Ron Devine and his hospitality and the BK Racing Team. Check out bkracingteam.com for mor information. 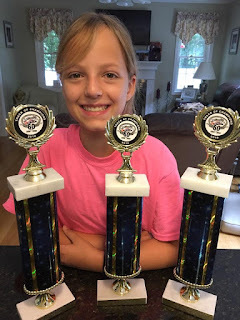 KALI TRAPP "NOT YOUR TYPICAL 12 Year Old"
THE RACING TIMES "Behind the Wheel"
THE RACING TIMES "Women in Racing"
Copyright 2018-19. All Blogs and images used are property of "The Racing Times". Awesome Inc. theme. Theme images by merrymoonmary. Powered by Blogger.